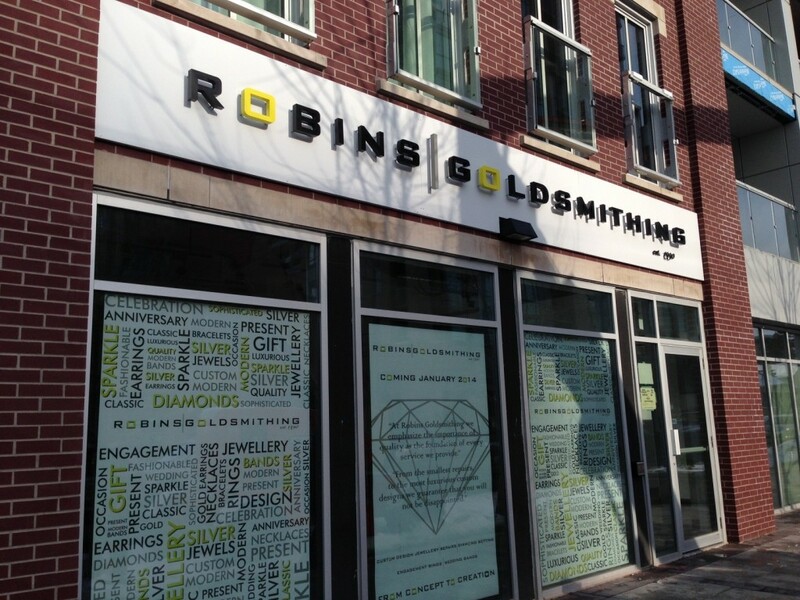 When Robins Goldsmithing decided to open a Waterloo location they choose to rebrand with a new custom business sign. The new modern sign was created to be bright and stylish to fit well with Uptown Waterloo. They took advantage of the construction time by covering up the renovations with coming soon signs in the windows (see below). The signs were teasers of what passers-by could expect to find in the new store once they finished the interior. 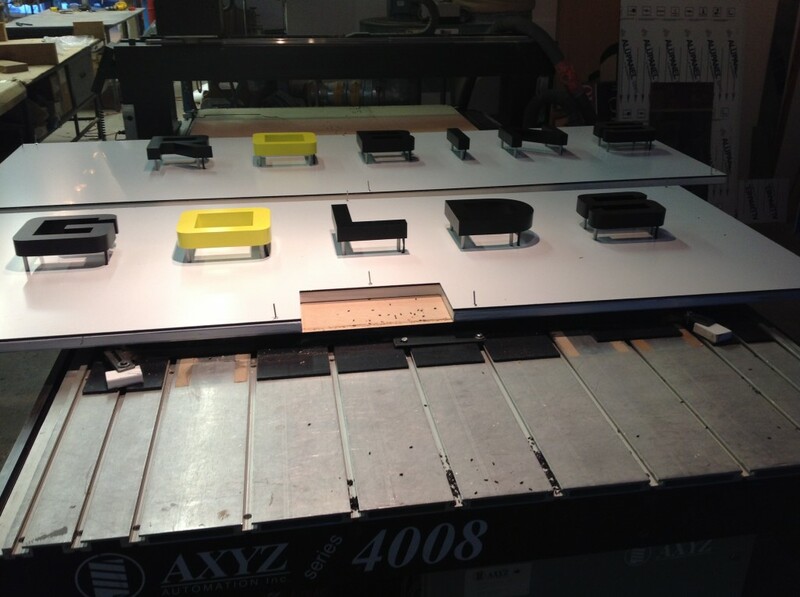 Coming soon signs help to build buzz about a brand and get people talking about what is to come. Robins Goldsmithing knows that their new custom business sign will provide a 24 hour advertisment for their company and wanted to ensure it was visable at any time of the day. The sign was halo lit with outdoor LEDs that provide a warm white glow around the business name. LEDs are long lasting and energy efficient which makes them a great choice for business signage. Lit signs also increase the findabilty of your business which is something very important to consider when you want customers to find your new location. As you can see the store was all set for opening in time for the busy Valentine’s season. If you’re in Waterloo Ontario, be sure to stop in and see all they have to offer. 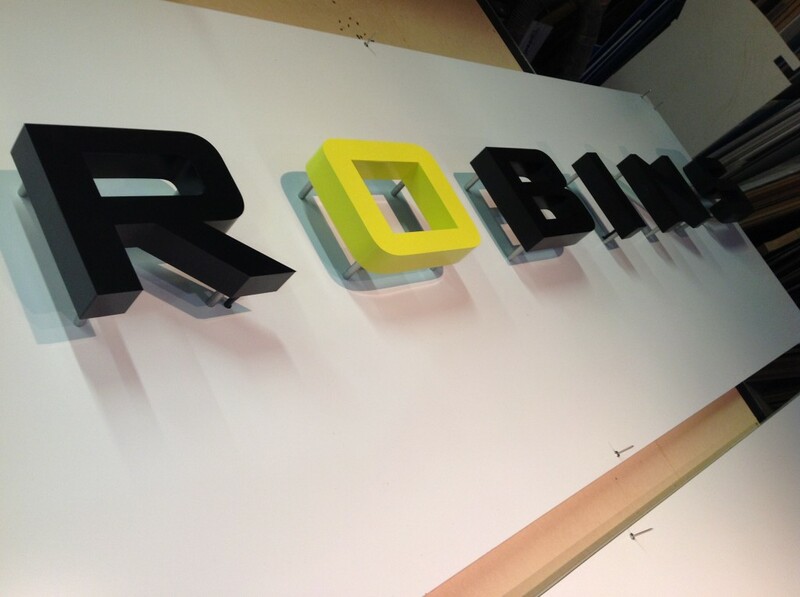 Want any more information about the sign techniques used in the Robins Goldsmithing sign package? Send us tweet and we’ll do our best to answer you inquiry.